CannTrust’s Fenwick cannabis grow operation is green-lit for a 36,000 sq. m expansion this year after receiving necessary construction permits from the Town of Pelham. The near-doubling of the existing facility at Balfour Street and Highway 20 was cleared because the Vaughan-based company had its application into the planning department just days before the previous Town council passed an interim control bylaw in October. That bylaw was intended to restrict construction, alteration or expansion of any commercial, agricultural or industrial cannabis facility for one year as the Town attempts to update its stance on cannabis production. “This company had a complete building permit application into the planning department before the last council initiated the interim control bylaw, and because of that, if we had decided to go to court we would have lost,” said Mayor Marvin Junkin. Junkin said resident concerns over the expansion have been minimal, but hopes that CannTrust can address previous complaints regarding odor and light emission from the facility. CannTrust CEO Peter Aceto said that this is built into the company’s plans, citing components such as additional fan ventilation, which would allow the greenhouses’ curtains to be fully closed. He added, however, that the light issue is exacerbated at this time of year by shorter daylight hours. The existing grow-op is a 42,000 sq. m retrofitted flower greenhouse. Plans for the new facility next to it come in at 36,000 sq. m. Aceto said construction is expected to be complete within 12-14 months. Other upgrades to the original greenhouse will be finished in the next few weeks. 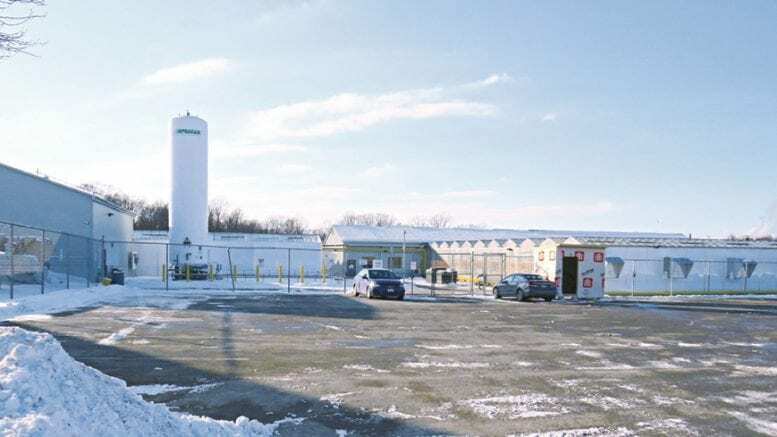 Aceto said the Fenwick facility is “globally revered” as a leader in the licensed cannabis growing space, and said CannTrust is excited to continue becoming more of a part of the Pelham community. “There’s no doubt there are things we can do to be a better member of that community, and be more involved in the community, and we certainly have plans to do so,” he said. CannTrust is predominantly focused on medical cannabis, with approximately 60,000 patients using its products, according to Aceto. The Fenwick site currently has 285 full- and part-time employees.